Force India is to internally review its procedures after believing it missed a golden opportunity to achieve its best result in Formula 1 at the Monaco Grand Prix. Although Sergio Perez claimed third place behind race-winner Lewis Hamilton and Daniel Ricciardo, Force India deputy team principal Bob Fernley feels it could also have got Nico Hulkenberg onto the podium. The German had been running right behind the Mercedes of Hamilton and Nico Rosberg in fourth on lap 15 when he pitted to change from wets to intermediates, and then became part of a queue of cars trapped behind Felipe Massa’s Williams as it stayed out longer on wets. Assessing the “one mistake in what would otherwise have been a flawless race”, Fernley said: “It’s an internal thing, but at the end of the day we need to look at ourselves and our procedures. “It’s nothing to do with the calls of going from when we went from wets to inters, it’s when we went to those, and who went first. We have to address it, to look at it ourselves and make sure we deliver because we lost an opportunity. When these opportunities come you have to make sure you deliver because for a team like Force India they are not going to come along every weekend. We’ve got to make sure that when they do we are ready for it and we’re acting in a proper manner. 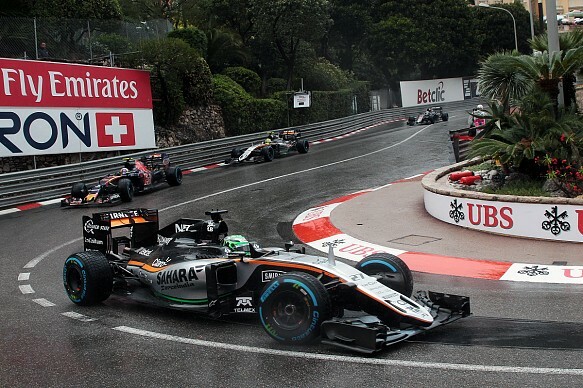 Hulkenberg ultimately clinched sixth place on the line from Rosberg amid the final-lap drizzle.